My name is Shuna Hammocks, and I am an experienced Consultant Trichologist with over 17 years experience in hair loss treatments. Due to a recent increase in enquiries for teenage hair loss conditions, I thought an article was due on this topic. Often parents contact me with concerns for their “tweens” and “ teenage” offspring. While I see patients as young as four years old, I plan to focus here on conditions that can occur around the onset of puberty. It is common for teenagers to experience symptoms of thinning, balding, or shedding. 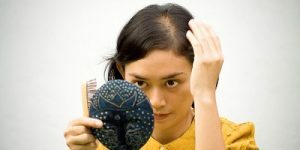 When this occurs, hair loss can cause a reduction in self-esteem, confidence, and social life. If you are a teenager reading this, you will no doubt feel often overwhelmed with pressure from school/college/parents and could really do without this upsetting and embarrassing issue of hair loss!? You can notice signs of hair loss when you shower and brush your hair,and the general volume is often reduced ( often seen when hair is tied back around the hairline and in the bulk ( or lack of) you are not alone in experiencing this. On your first visit to me I would carry out a consultation, under 18’s must be accompanied by a parent or guardian. Following your diagnosis and guidance, I have given you, there are a variety of treatments available to you, sometimes for home use too. Alopecia Areata is a patchy hair loss with a quick onset and is often. Triggered by an emotional or stressful situation. It is estimated that somewhere between 1% of the population suffers from Alopecia Areata, including teenagers. Androgen Dependant Alopecia ( male and female pattern hair loss) This is the most common cause of hair loss, affecting an estimated 25% of the population. This type of pattern baldness affects pre-disposed individuals from the age of puberty and therefore includes teenagers.The condition will often start with the temple region receding, and the hairs within this area appearing finer and the scalp becoming more visible.Puberty can trigger the hair loss condition. Medical Conditions and Hormone Imbalances Certain medications have side effects of alopecia, depending on the dosage and the pre-existing medical condition. Thyroid disorder affects the hair, having an overactive thyroid doesn’t directly affect the hair,but hypothyroidism most certainly does. In fact, Trichologists often see markers of undiagnosed conditions during consultation! Polycystic Ovarian Syndrome (PCOS) This condition affects women of menstruating age and can cause hair loss in teen girls as well. Hormone imbalances play a large part in the hair growth,and various genetic predispositions are influenced mainly by increased levels of testosterone. Traction Alopecia often occurs from the hair being pulled back tightly particularly in those in a bunch or hair bun for example. However, it is most often seen within the Afro-Caribbean community who traditionally braided their hair often from childhood. 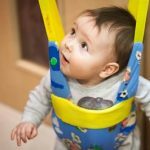 What are the Advantage of having a Best Baby Jumper?